Skills for a changing world: Where do we go from here? How would you react to this? What are your questions? Your concerns? How do you expect your children’s education to change, and how do you feel it will affect them? Now imagine that you are a school principal. How do you begin to implement this mission? How do you clarify what this means for your teachers, your students, and the broader community? 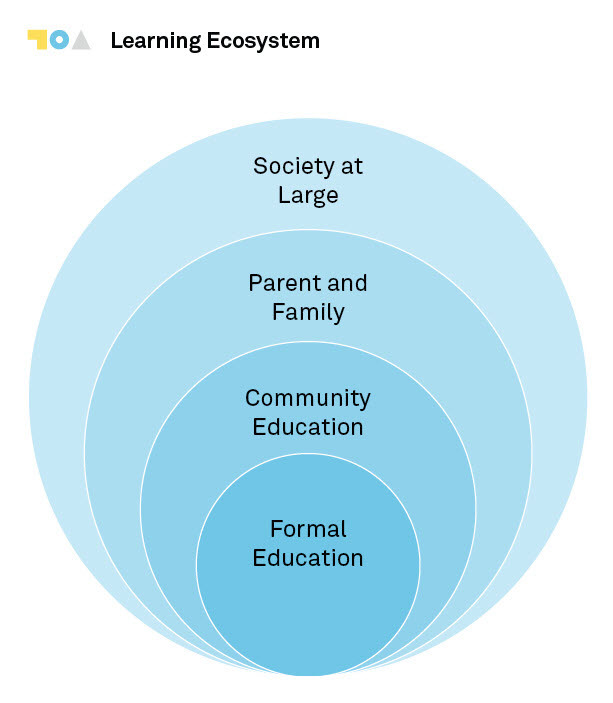 Countries around the world recognize the importance of teaching and learning a diverse set of skills in formal education systems, as evidenced by national vision statements from countries as diverse as Mauritius, Rwanda, Ontario Canada, and South Korea. Despite these ambitions, governments at the national, state/province, and municipal levels still face implementation challenges. On May 20, the Center for Universal Education (CUE) at Brookings convened education professionals to discuss these questions and other as part of a conversation around implementing breadth of skills in formal education. Science of learning: Why do we care? This meeting was the first of many collaborative consultations essential to Skills for a Changing World, a partnership between CUE and the LEGO Foundation. This project brings together what we already know about quality learning—the importance of informal and formal learning environments, what works in equity and scaling, and how education can be more innovative—to inform new research on breadth of skills, breadth across ages, and breadth of learning opportunities, both inside and out of school. Connie K. Chung, research director at Global Education Innovation Initiative at the Harvard Graduate School of Education, outlined the impact of national policies and curricula across six countries and reviewed how their education systems are responding to the demands of the 21st century. She particularly focused on a U. S. case study included in her recent book with Fernando M. Reimers, Teaching and Learning for the Twenty-First Century: Educational Goals, Policies, and Curricula from Six Nations. Furthering the discussion, María Elena Nawar, lead specialist of the Multilateral Investment Fund at the Inter-American Development Bank (IDB), spoke about the school-to-work pipeline in many Latin American countries where the IDB has significant investment in broadening “soft” skills uptake through employer programs. Our final panelist, Merrilea Mayo, founder of Mayo Enterprises, described key competencies for 21st century learners, including knowledge, skills, and character. She underlined the importance of addressing the politics of rethinking curricula, mindsets that hold back progress, and the complexity of assessing key competencies for the 21st century. Panelists recognized that both formal and informal learning initiatives are being implemented. These initiatives rest on identification of skills needed for successful study and work, such as critical thinking, communication, problem solving, and information literacy. Seminal work informing the field has been contributed by organizations like the National Research Council, United Nations Educational, Scientific and Cultural Organization, and Organization for Economic Co-operation and Development, among others. Over the next few months, we will explore how a broader vision for skills is conceptualized and implemented in formal education systems. Our research will explore aspirations versus implementation, and investigate the facilitating factors in governments’ realization of breadth of skills and learning opportunities for their students, as outlined in How Education Systems Approach Breadth of Skills. We will continue to engage diverse perspectives on the breadth of skills via events and blogs on our new Skills for a Changing World webpage and blog series. We hope you will join us as we continue to learn from each other.